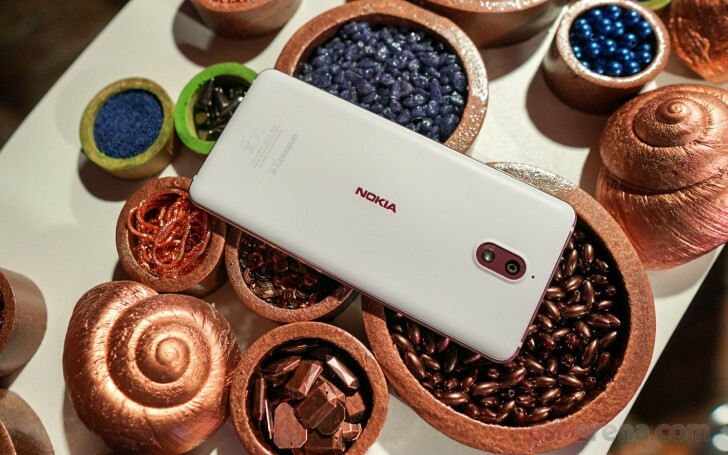 Going by the model numbers alone, the new Nokia 3.1 should technically sit right in the middle ground between the Nokia 5.1 and the Nokia 2.1. However, like the former and unlike the latter, it also employs a trendy new 18:9 form factor. Minus the rounded display corners. Oddly enough, it does so with a 5.2-inch diagonal. That is really small by today's standards. 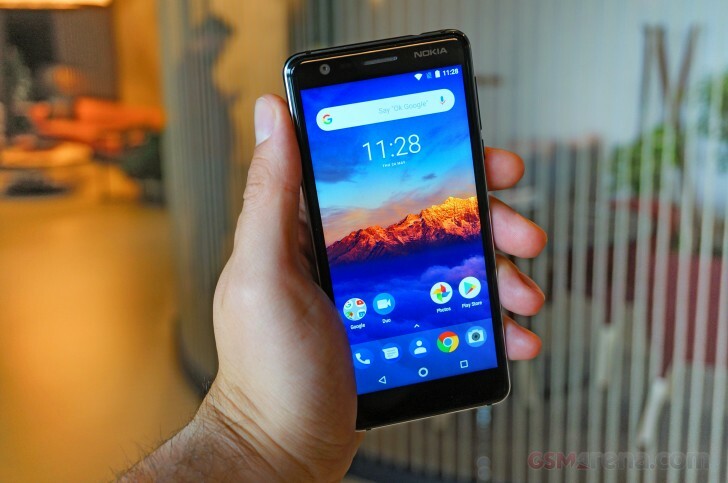 HMD markets the Nokia 3.1 as being bigger than the original 5-inch Nokia 3 and thus better for multimedia purposes. While math seems to be on HMD's side, we can't necessarily agree that the new aspect ratio makes it more usable. The small 5.2-inch diagonal results in a very thin and tall device, almost spaghetti-like. It definitely takes some getting used to, but we can also see certain positives. For instance, at just a bit under 70mm wide, the Nokia 3.1 slides in and out of pockets very effortlessly. Plus, the particular proportions are kind of unique at the moment. The Nokia 3.1's lower market standing does mean a few hardware sacrifices had to be made. Still, to be honest, we didn't manage to spot any experience-ruining downgrades or omissions. For instance, the thin and tall display, we discussed at length, operates at HD+ resolution. Not ideal, but still plenty sharp at this size. Also, unlike the Nokia 5.1, the 3.1 employs a lot more polycarbonate in its build. The back is constructed out of it and doesn't really have the same premium feel of its bigger sibling. Even so, as far as overall durability goes, the Nokia 3.1 feels just as solid. The front is still covered by a layer of Gorilla Glass, tapered nicely around the edges for a 2.5D effect. An aluminum frame is sandwiched between the front and the back, which leaves no body flex, whatsoever. Plus, its double CNC machined edge, makes for a really good look. The lack of a fingerprint reader is somewhat of a bummer. Then again, the original Nokia 3 didn't have room in its budget for one either. On the flip side, HMD puts quite a bit of emphasis in its press materials on the full set of sensors, fitted inside the Nokia 3.1. These include a gyroscope, ambient light sensor, proximity sensor, accelerometer, and magnetometer. At the end of the day, this translates to unrestricted access to all sorts of more advanced Android apps and experiences, like games that rely on an array of sensors as input controls. As a matter of fact, looking, the Nokia 3.1 seems to share quite a few other hardware bits with the more-expensive Nokia 5.1 as well. The battery in the two is nearly identical. And while neither is particularly slim for it, 3,000 mAh, or so, is a decent capacity to work with. The Nokia 3.1 also borrows a selfie cam from its bigger sibling. While an 8MP, fixed-focus, f/2.0 snapper is unlikely to win any awards, we do appreciate the wide 84.6 field of view. Other things HMD didn't skip on include Dual SIM support, a microSD slot and a trusty 3.5mm audio jack. Internals are a bit slower here, but the vanilla Android 8 Oreo ROM runs just as well. No hiccups or slowdowns whatsoever. 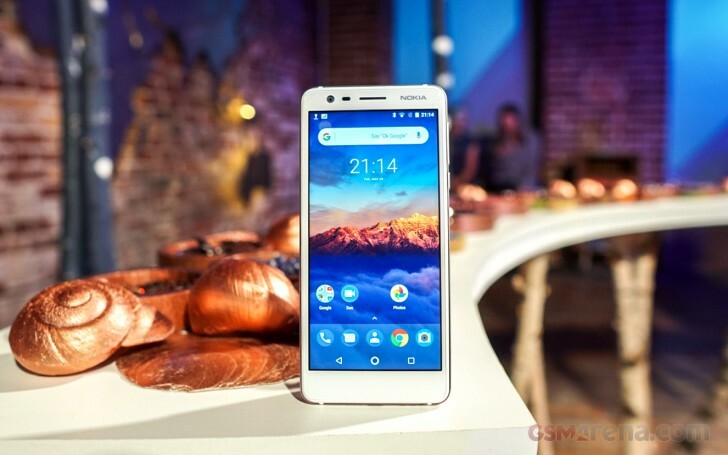 Plus, just like the Nokia 5.1, the Nokia 3.1 comes with the promise of two years of platform updates (likely two major Android versions) and three years of security updates. All delivered on a tight schedule, which HMD has been mostly sticking to so far. As a bonus - free unlimited high-quality Google Photos storage. The Nokia 3.1 is available in three color combos - Blue with Copper, Black with Chrome and White with Iron. The latter is a somewhat unusual combination, so it might just earn you some extra originality points. However, we should note that the plastic back greases up a bit easier than the metal on the Nokia 5.1. A little HMD birdie told us that the Nokia 3.1 is already shipping out to retailers, so you can expect to see it really soon (officially, June). A 2GB, plus 16GB unit will set you back around €139 and a 3GB, plus 43GB one - €169.